Just before I left Harlösa (such a sad day!) I began a postal project that I hope will keep alive for me the residency’s spirit of collaborative creative sharing. Four beetroot-coated papers and photo transparencies (images of Harlösa) in transparent envelopes, ready to place in windows for exposure, were sent to four artist friends, across the globe. 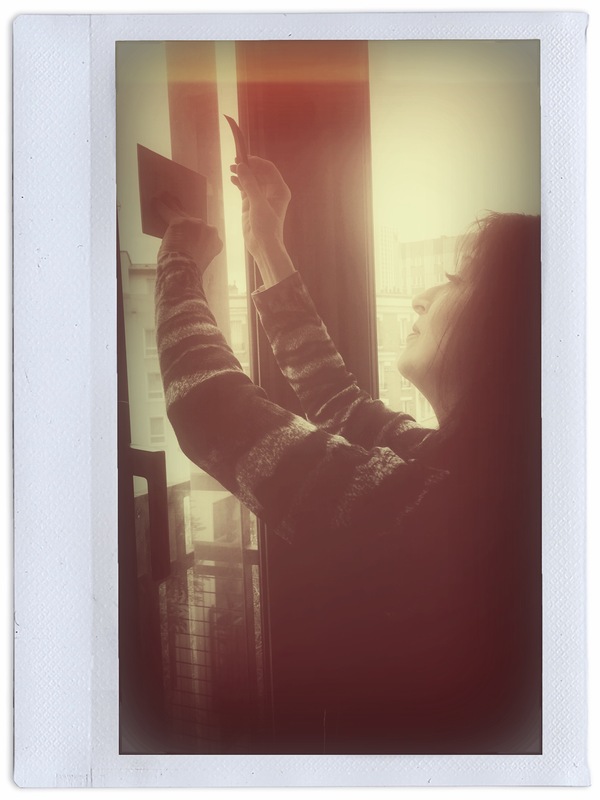 Here is photographic artist Évelyne Coutas taping her Anthotype of the ICA store sign to the window of her Parisian apartment. The window faces her local store so she’ll be sending me a transparency depicting it, with which to create an Anthotype in England. 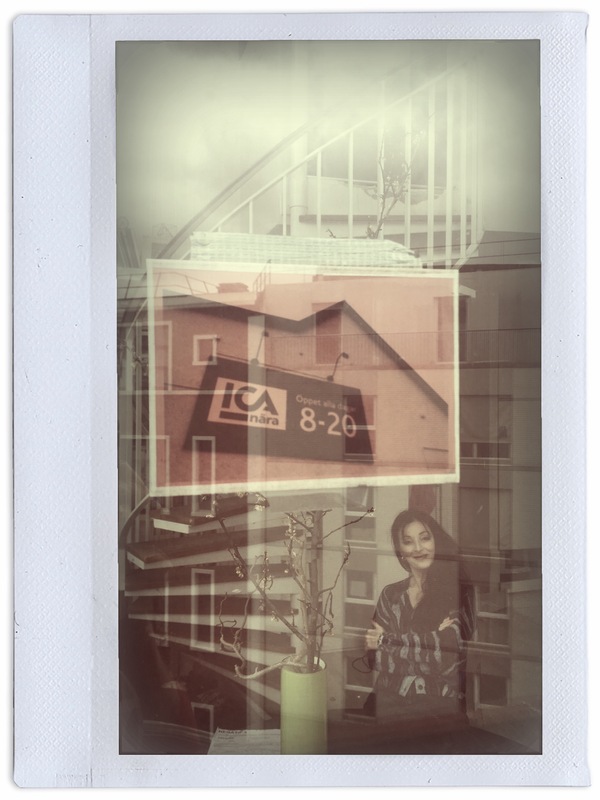 I’m looking forward to hearing news of the other Anthotype postcards.